For me, this week was rather uneventful - low single digit miles, demanding week at work. This weekend was more fun though because I started to feel more like my runner self. Hal says that it takes at least 2-3 weeks to recover from a marathon (my hat is off to all of you out there who can run marathons every weekend), so I guess that means I'm tracking according to schedule. Yesterday, I got in a nice easy 5 miler with a running buddy! I know many people are solo runners (and most of the time it's my only option), but I get so much energy running with other people. It just makes an already fun activity even more fun. Know what makes it even better? Post-run refueling!!! And believe me, this is even more delicious than it looks. Two words: smoked Gouda. Today was chilly (I ran in the afternoon and it was still only 40 degrees), but I still got in a nice 7 miler at one of my favorite parks. Maybe it's because I'm actually recovering from the marathon or maybe it's because of the Tailwind Wendy sent me (if you haven't checked out her blog you should - she is a great runner and hilarious writer). More on Tailwind later, but I layered up and felt stronger/more energetic. So hopefully that means I'm on the road to recovery! 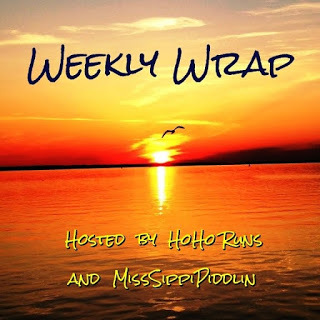 I'm linking up this week for the Weekly Wrap with Ho Ho Runs and MissSippiPiddlin. How long does it take you to recover from a marathon? Do you prefer to run solo or with other people? Yes, a marathon takes a lot out of you! I'm impressed you braved the wind! I've heard lots of good things about Tailwind. Right now Nuun works for me, but I think Tailwind has calories so is better for longer runs. Every marathon I've run has been different, as far as recovery goes. But I'm taking that advice I got from Meb and Sarah Crouch to heart--they both take 2 weeks off from running after a marathon. I usually take at least a week, but why not take 2? Nothing bad is going to happen--and last year, I ran a half 6 weeks after my full and had an amazing race! With no training! Lesson learned. Looking forward to your thoughts on the Tailwind! You make a great point - we get so concerned as runners about not running, even when it might be better for us. We don't give ourselves credit for how much our training does for us even after the marathon. I loved the Tailwind today - great consistency and flavor. I had good energy, no stomach issues. This could be the beginning of a beautiful thing. I'm excited to try the varieties with caffeine, too! Thank you again! I loved smoked gouda! I agree, runs are so much better when run with a friend and then brunch afterwards. 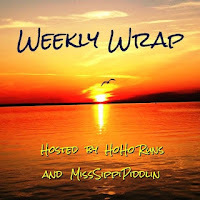 I won a large bag of Tailwind from a fellow blogger earlier in the year. It was berry flavored and I thought it was the worst stuff ever. But, I knew Wendy was a big believer in it so I gave the orange flavor a try. LOVE IT! I'm definitely looking forward to a few weeks of downtime after this next marathon. I'm at the tired/cranky stage now. It's not pretty. I love that headband you are wearing. Thanks for linking, Lindsay! I learned the hard way when I tried to ramp up too quickly after my first Chicago marathon and ended up out for 4 weeks with ITBS. Since then I'm much more careful. Mmmmm smoked gouda! I totally get what you are saying about how hard it is to run longer distances right after a marathon. It just doesn't make sense to me, you train your body up to 26 miles why would 15 be so hard? I wanted to do this after the Chicago Marathon because I thought I could "keep my fitness level up there". My coach told me he totally understood, that everyone feels that way, in their HEAD, just not in their body. Hears to enjoying the recovery!! Ah, I know right? It just doesn't seem fair that after all that work, we have to pull back a little. I guess the magic is about figuring how much we have to pull back before we can ramp back up (without getting injured). Hope your recovery is going well, too! Amazingly, the recovery from my marathons seems to be getting quicker (but, alas, I also know I'm never as recovered as I think I may be). I have some stiffness the day/evening of the race, then the next morning feel pretty good after I've been up and walking a bit (though the first 10-20 steps right out of bed are painful and unsteady LOL). Then, the DOMS hit me about 24-hours post finish line and last for a good day or so. A day or so later, I usually pretty "recovered" but know to take it real easy for at least the next 10 days. Wow, how many marathons have you done? Sounds like you really have the pattern down! Maybe your body is "remembering" what it's like to run and recover from 26.2. New York definitely took it out of me - I was sore for probably 3 days (but then my training didn't go perfectly either). Hopefully, I'll get through this and back on track soon! I'm just getting back to "normal" from Sunday's Philly Marathon, but I definitely don't feel ready to start running yet! I think it's great to have a running buddy...I'm thinking I need to do more group runs going into the new year! Congrats on your Philly Marathon! It seems like everyone is different, but it really takes me a while to fully recover!